In the past 2 years, Google has made lots of changes to its algorithm. And one of those major changes was named as ‘Panda’ which was launched on Feb 24, 2011. Since its inception, whenever there is a Panda algorithm update, there is always an impact on existing great sites been losing their reputation on Google.com or totally gone out of Google search results. In the last two years, Google Panda had created an enormous impact on entire SEO and internet marketing industry. 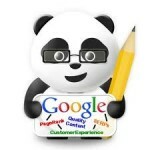 The Panda update was designed to promote higher quality content from sites in Google’s search results. Victims of the update strived to recover from the huge drop in search visibility suffered as a result from these updates, by following some strategies and plans going forward. The barrier which every website owner faces is creating new, unique, quality content and understands / adheres to algorithm updates which happen regularly. Even today, Google is making more advanced changes to its Panda algorithm. So keep yourself updated and keep making updates to your website too. Rest your SEO expert team / consultant will help you understand what you can do.